make different shapes of puffed snack food. 2 raw material: corn powder, rice powder ets. 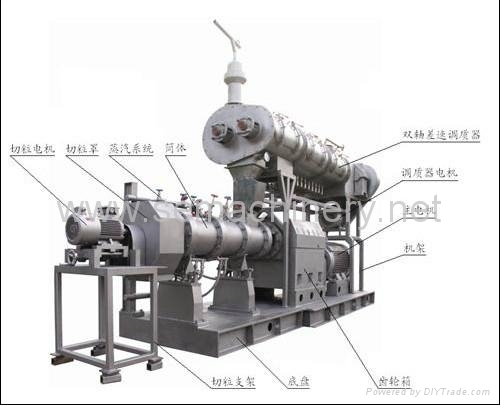 1: Series of twin screw inflating extruder are consisting of feeding system, extruding system , cutting system ,heating system, gearing system and controlling system. 2: Feeding, main driving device and rotary cutting device adopt inverter to adjust the speed with more powerful drive, stable running and low consumption. 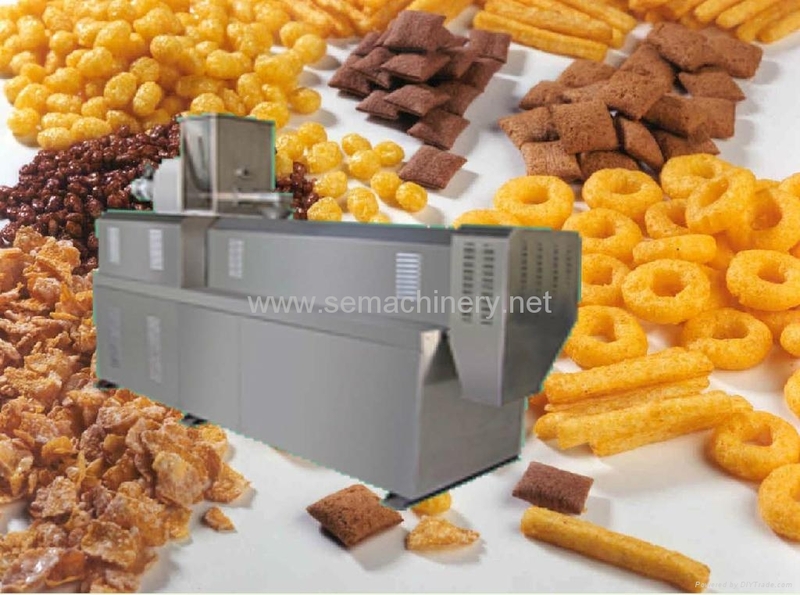 3: Automatic lubrication system cooling to guarantee the extruder running safely and prolong the life. 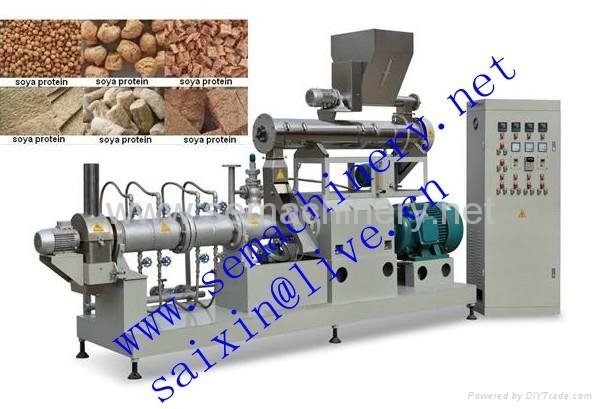 4: According to different material to choose the relative single or double screw feeding system ,the material should be stable and uniformity. 5: Screw is made of alloy steel with long life ,Segmental assembled screws are applied to more kinds of materials and products . 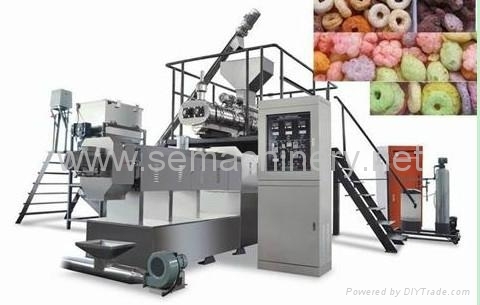 6;Double-screw extruder can clean itself automatically.